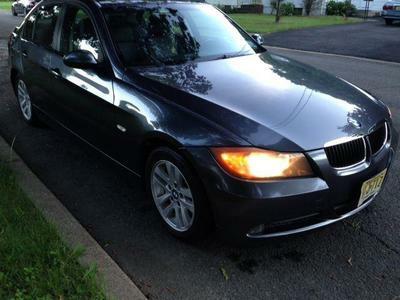 2006 BMW 325i, automatic, 71, 258 miles. I am the original owner of this BMW and originally purchased this car when I lived in Florida. I moved to NJ in 4/08 when the car had 15, 956 miles. No accidents, all original paintwork. Car runs and drives great and has 4 Hankook tires with good tread. Car has minimal normal wear and tear. Oil always changed with 5w30 Mobil1 synthetic. Only work this car ever needed was new brake pads and new tires. Radio was replaced by BMW under warranty for some pixels going out.